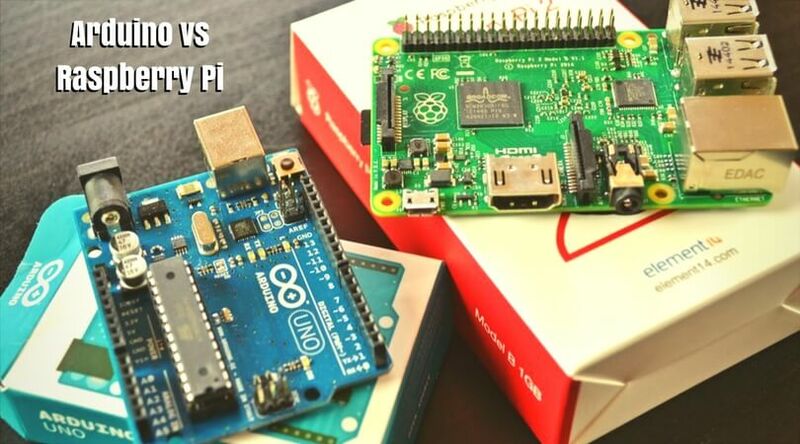 Home » Blog » Comparison » Arduino vs Raspberry Pi : Which is the Best for Programming Geeks? Arduino vs Raspberry Pi : Which is the Best for Programming Geeks? You are here means you know the terms Arduino and Raspberry Pi. Both are quite similar in many functionalities and also better than each other in some particular point of views. But, one thing for sure is that both these cute tiny circuit boards have changed the era of technology by providing a global platform to implement your ideas. Making small computers, small home security cameras, temperature measurement devices, opening your garage door automatically, the fingerprint sensor on your office door, and numerous other projects can be easily completed with the help of Arduino and Raspberry Pi. But, when it comes to choosing a particular between both, creates confusion to the user as it is difficult to decide which is the best choice for a particular project. Here we have shown the in-depth comparison between both these boards to let you decide which is best for programming purpose in a project. First, let us describe you about both Arduino and Raspberry Pi. As you may know, Arduino is at the top of the list of the best Open Source Platforms for building electronics projects today. Arduino was launched in 2005 with an open source platform for the users to make them able for creating interesting projects and circuits. It provides an interactive platform for software and hardware development. In 2012, the UK based company – Raspberry Pi launched a single board computer which was capable of doing tasks like a desktop PC. Eben Upton, the founder of Raspberry Pi, along with his teammates has introduced this tiny credit-card sized computer initially for the education purpose in schools and institutions. But gradually, the SBC soon became popular among the tinkerers and coders, and that’s why the company has shipped over 10-million units of different versions of Raspberry Pi until the date. Now, let’s check some key differences between them both. As launched with the same purpose of teaching, both the devices became popular worldwide, especially among the DIYers and tinkerers. Both are versatile and are good for some specific things. Let’s check the differences between Arduino and Raspberry Pi. An Arduino is a micro-controller and not can perform tasks like a computer, while the Raspberry Pi is a full blown computer which can carry out the tasks that you can assume. Arduino can be used with small devices with the coding of C++, but it cannot run a full OS, while the Raspberry Pi, as we mentioned before, can run a full scaled Operating System for multi-tasking. Arduino is best for controlling small devices like motors, lights, sensors, etc. while the Raspberry Pi is best for learning and implementing coding for various projects. Arduino is made for ‘prototyping,’ which is the method for creating prototypes of electronic devices. The Raspberry Pi is great at acting like a server and communicating with other computing devices. As one redditor mentioned, the Arduino is comfortable and convenient while talking to a machine, while the Raspberry Pi is better at talking to a person. To exactly know what you have to choose from one and either, you should know what exactly they contain and what they can do. Most out of these depend on the software. Coming with the capability for the code interpretation, the Arduino does not have a preinstalled software. It can make the alterations of the functions of the connected hardware devices, but it does not come with any interface or Operating System in its IDE (Integrated Development Platform). All these mean that you have to establish the software that you want to run on it. You can set simple instructions like “open the garage door, close the garage door, turn the light on, turn it off, etc.” or can perform complicated things like making a home security system, a DIY printer, etc. with the help of Arduino. The Raspberry Pi comes with a pre-installed ‘Raspbian’ Operating System which actually acts like a Desktop OS. It is based on Debian Linux and dedicated to the Raspberry Pi kits. You can also use other Linux-based Operating Systems on the Pi board, and yes, it supports Android OS too. For different types of tasks, you can install various applications on Raspberry Pi. You can use you Pi circuit as a media server and can write modified programs on it, which is one of the best reasons for its popularity. Unlike the software, the hardware configurations are quite differing between them both. Let’s check the key specifications for Raspberry Pi Vs Arduino. Power: When you plug in the Arduino board into your computer or other power sources, it will directly start running the code. To shut it down, just disconnect the power source, no need to off it manually. While the Raspberry Pi works as a full-functional computer, you need to follow the proper shutdown process. Both of these devices can run for a long time without using too much electricity. USB: Arduino does not come with a USB port to communicate with other computers. It comes with a single port which can be connected to the power source. While the Raspberry Pi comes with four USB ports to connect multiple devices with it for power, communication, and other needs. Connectivity: With a built-in Ethernet port, the Raspberry Pi (latest version of Pi comes with a built-in WiFi and Bluetooth) can be connected to the internet easily. While the Arduino comes with no built-in connection capability. You will need extra hardware to connect it to the web. 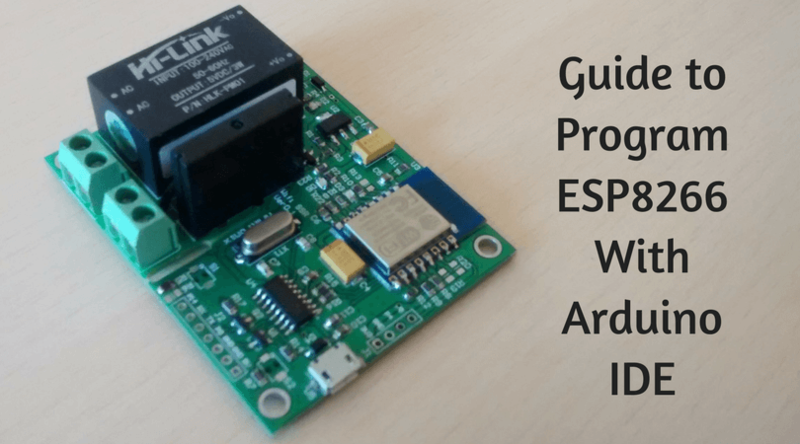 For connecting WiFi to your Arduino, you will need another piece of hardware. The main reason behind this is that the Arduino is designed for hardware projects specifically. Storage: The Raspberry Pi does not come with an inbuilt storage capacity, but it has support for SD card with a micro SD card port. This means you can add as much external storage capacity you want. On the other hand, the Arduino comes with an onboard storage of 32KB which is enough to store the program code for the set of instructions. Input and Output: For connecting to different devices attached to the single board computer and make them work together, I/O pins are required. For example, to actually start the motor or lighting up the display with an Arduino or Raspberry Pi, Input/Output pins are used. The Raspberry Pi 3 comes with 40 GPIO pins while the Arduino UNO board comes with 20. So, what to choose if you are a programming geek, Arduino or Raspberry Pi? You are at this point which leads to an assumption that you know what exactly the Raspberry Pi and Arduino are and what is the difference between them. But, as a programming geek, if you have only one to choose, then which one is best for you? Well, as you may also get aware that for the hardware projects like timers, sensors, robots, prototypes, the Arduino is a good choice. On the other hand, for data storage systems, working as a server, programming & coding in a traditional approach, and to make communication system for people, the Raspberry Pi is great. But, wait a minute. How about using these both together? Sounds exciting, isn’t it? 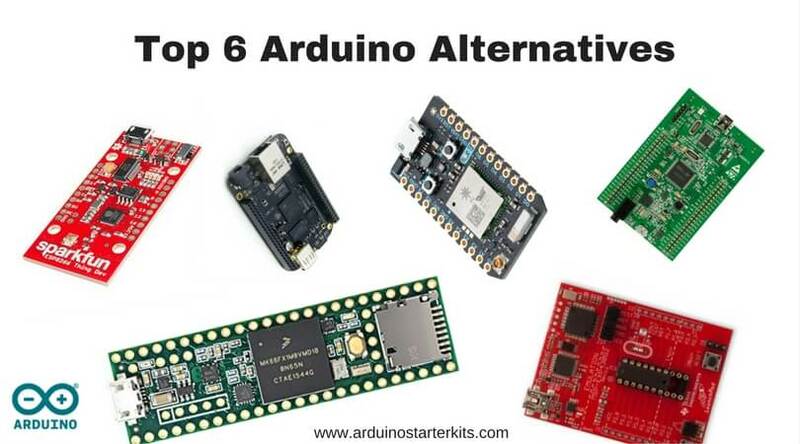 Both the devices are affordable and have a great compatibility with each other which give the best combination for the programmers and DIY hobbyists to work on different projects. From creating a simple home robot to a full web server, the possibilities are limitless when both the Arduino board and Raspberry Pi kit come together.